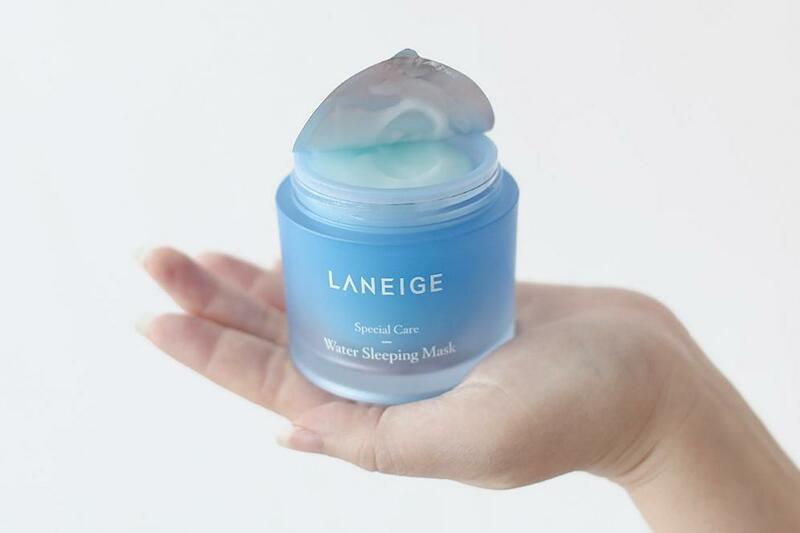 Radiant your Skin Care with the [Laneige] Water Sleeping Mask 70ml (For All Skin Type, Overnight Skin Care For Hydrated&Bright Skin)! we aim to provide you best korean products to take good care of your skin, including Skincare, Masks, Sleeping Mask. Hydra Sleeping Mask online. 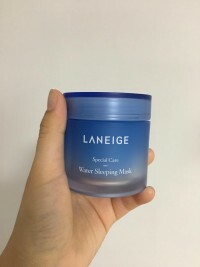 - As Laneige's unique technology,the Moisture-Wrap technology increases skin's own absorption and sustaining capabilities while you sleep with its effective ingredients of hydro ion mineral water contained in the biopolymer mineral network,evening primrose extract,and apricot extract. - The water Sleeping Mask is exclusive for overnight skincare to optimize the condition of skin the following morning,as if skin had a good night sleep. - Skin loses a lot of moisture overnight if no skincare product is applied to it at night.The Sleeping Mask is a moisturizing Sleeping Mask that charges skin with the Moisture needed overnight. - The anti-oxidant function of apricot extract porvides a brightening effect and makes skin look clear and bright by removing the free radicals that give stress to skin. - The Various effective Sleeping Care ingredients absorbed into skin overnight help skin absorb makeup the following morning. - The light gel-type Mask helps skin have a good rest and provides a refreshing,moisturizing feel to skin without leaving any sticky residue. - Every night before going to bed,apply lightly on skin and leave it on overnight without washing it off. You can experience softer skin texture after washing your face the following morning. 1. Skin purifying effect: SLEEP-TOX™ technology purifies skin during sleep, keeping it in optimum condition. 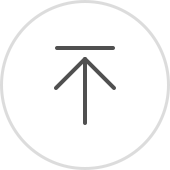 - SLEEP-TOX™ technology’s purifying effects help to rejuvenate and normalize skin that is often fatigued and sensitized by stress during the day. This helps the skin to achieve a well-rested appearance the next morning. - The dense beta-glucan moisturizing shield (network) consists of active agents such as Hydro Ion Mineral Water, evening primrose root extract, Hunza apricot extracts, and more so that skin fully absorbs the goodness during 8 hours of sleep. - Ultra-mild, safe formula that can be worn overnight / Non-comedogenic, sensitivity tested. 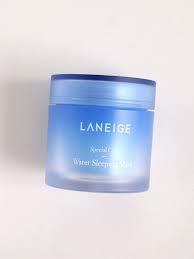 - SLEEPSCENT™ specially developed for Laneige Water Sleeping Mask is an AMOREPACIFIC original, allowing skin to relax and rest and boosting its ability to regenerate. - Use 2-3 times a week. - Apply a little more than the recommended amount when your skin feels dry. since I purchased and tried this product i can tell the difference on my skin texture and look after i wake up. Happy with the purchare.